Easy care styles for men and women with 4-way-stretch, Arcgreen™ sustainable fabric. #RealCaregiver @merelycash #SkechersScrubs Women's Vitality V-Neck Solid Scrub Top by @barco.uniforms in color Black. Reflecting on the newest Scrub brand it town.. our Skechers scrubs check all the boxes! Available in 11 colors ✔️ 4-way stretch ✔️ sustainable fabric ♻️(made from recycled plastic) ✔️ AND affordable $42 a set! Brandon is wearing #SkechersScrubs Men's Structure V-Neck Chest Pocket Solid Scrub Top and Men's Structure Elastic Waistband Zip Fly Scrub Pant in color Pewter. Alexa is rocking #SkechersScrubs Women's Vitality V-Neck Solid Scrub Top and Women's Vitality Logo Elastic Waistband Scrub Pant in color Wine. 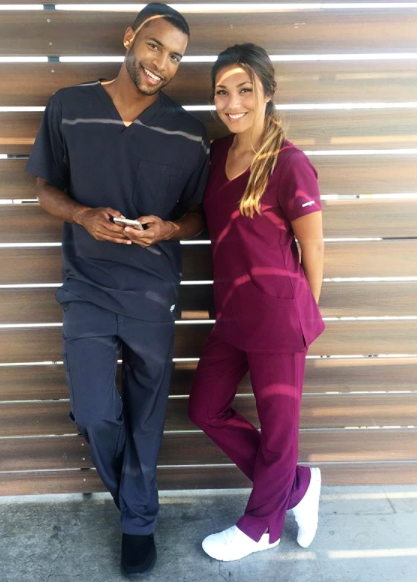 #allheartSquad member @tiffanyjoy8 is wearing her new #SkechersScrubs Women's Reliance Mock Wrap Solid Scrub Top by @barco.uniforms in color Pewter. #allheartSquad member @murse_mita is wearing his new #SkechersScrubs Men's Structure V-Neck Chest Pocket Solid Scrub Top and Men's Structure Elastic Waistband Zip Fly Scrub Pant in color New Royal. 🎄❤️#SurpriseHolidayGiveaway❤️🎄 I know this is really late for our Sunday giveaway, but better late than never!! I’ve teamed up with @tiffanyjoy8 and @barcouniforms to bring you all today’s AllHeart 24 Days of Christmas giveaway! One winner will win a set of their choice of color of the brand new Skechers by Barco scrubs!! This will go on for 48 hours only- beginning 12/17/17 at 11:30PM CST. To enter, see details below! 2. 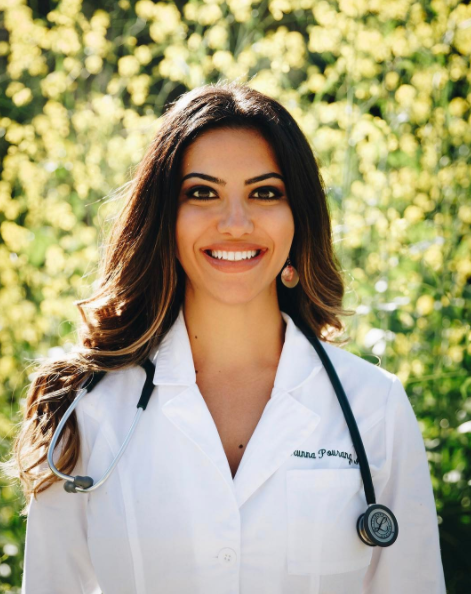 Follow me (@luluboo_), @tiffanyjoy8, @barco.uniforms, and @allheartscrubs. 4. Tag 2 friends in your comment! If you want an extra entry, post about the giveaway in your IG story and tag @luluboo_.